In a world that is dominated by technology, people have started depending upon online information on websites more than public knowledge. The same goes for medical facilities as well. People have started looking for health-related issues on the internet. This has given birth to online medical websites, which have proved to be beneficial for many patients. Patients who need an appointment for a checkup can fix one through the website of that particular clinic or hospital. Due to this, patients do not have to stand in long queues and wait for their turn. If you are a doctor and are planning to create a website for your clinic, then certain things should be kept in mind. Some of the most important things are stated below. 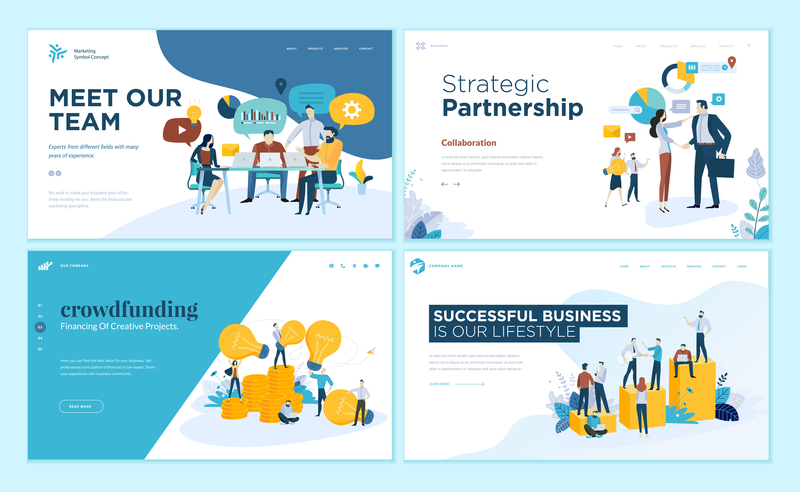 Anyone can create a website that has all the features required — user-friendliness, visually appealing presentation, and many more. To create a strategic website, you need to be more specific about the field of practice in which you are involved. The website should involve the specialty of the doctor, the location, phone number and other modes of contact as well. It should include all the things that would help in making the website a success. Creating a website without any such information would always be looked down upon as the patients will not be able to know in which field has the doctor practiced. Medical website designs should be made by keeping in mind the patients’ requirements. SEO or search engine optimization plays a vital role in designing of all kinds of websites. If a person is designing a physical therapy website, then it should be SEO friendly as well. The web developers should be able to make the website SEO friendly by ensuring that all the essential keywords are there in the content of the website. These keywords would help your website to gain more viewers and would even be considered as a website that has useful information. A medical website is expected to contain useful content that can educate or impart knowledge to people. A medical website that consists only of the clinic and the doctor’s biography is not found to be appealing to the patients. Dermatology websites that do not contain the information regarding infection in the scalp and many more relevant problems related to the field would be of no use to the patient. Make sure that at least there is a summary of around 200 words of common diseases or conditions related to the field of practice of the doctor. This would help the patient to know about the condition, and the doctor can be trusted by the concerned patient for treatment. Setting up the location of the clinic can be of great help. But other than that, it would even be beneficial if the location of the clinic or hospital is set up with Google and is shown on Google maps. The web developers can set up the location as it would help the patients who are nearby and who come from distant places for treatment, to be able to find the clinic in no time. People who need treatment and are not familiar with the town, for them, the Google location can be of significant help. Providing the location on the website will enable people to locate the clinic. Everything needs to be advertised in order to gain the attention of the public. A good chiropractic website design that has all the key factors but has still not gained more than a few customers should go for advertising. Advertising the website of the clinic would help the public to know better about the clinic. Advertising can take the website to the peak of success. After the completion of website designing, the doctor should consult with an agency in order to advertise the clinic and provide information about the website to the public. If you are new to the field of online marketing, then it will be good for you to take inspiration from people from different industries. It would give you an idea of what the client requires and how exactly the medical website should be. Make notes, talk to the website developer about the requirements and make sure that the website is designed accordingly. Viewing websites of different kinds of businesses can be helpful. People from various fields who have gained many viewers would help you in collecting essential factors that should be there on your website. Moreover, do not copy their details, but instead, make your website unique. Put in all the information that a patient would require. Look at the website from the viewpoint of the patient, and if it does not satisfy you then improve the website. Social media can be of a lot of help in promoting the website. Make a page specifically for the clinic, on Facebook, Pinterest, Twitter, Instagram, and other social media platforms. Whenever anyone goes through your website, they would be able to find the links of the page on other platforms as well. Put up pictures and projects that the clinic has completed. It would help in drawing people’s attention. These were some of the essential factors that should be kept in mind while creating a medical website. Apart from all the above-stated elements, video marketing should also be carried out. Video marketing would help people in viewing the clinic in a quick way. Medical websites have become a necessity in today’s world, be it fixing an appointment, buying medicines or getting information about diseases; people look up to the medical websites for their health-related problems. In order to gain success and help people in the field of medicine, one needs to have an elite medical website that would be able to create an online recognition of the doctor or the clinic and would prove to be beneficial for both the patients and the doctor.